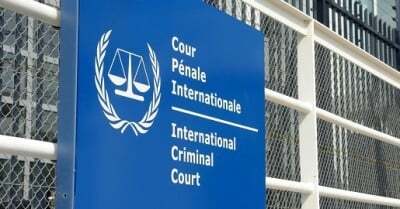 The Palestinian Return Center (PRC) accused on Friday the International Criminal Court (ICC) of pro-Israel bias in its new report on Preliminary Examination Activities published on November 12th, 2015. The ICC’s Report on Preliminary Examination Activities provides a section on Gaza in the “Contextual Background” to the alleged crimes that casts doubts on the neutrality of the approach, the PRC said in its report issued on Friday. The PRC report analyzed each Point (55-56-57-58) of the “Contextual Background” and demonstrated the numerous instances where the Office of the Prosecutor (OTP) does not attempt to provide a balanced account of the events. Instead, the OTP omits the Palestinian narrative and even excludes the use of International Law as a tool of reference to describe the history of the conflict and more recent events leading up to the “51-Day War”. However, the OTP “ignores a key element of the conflict: in 1948 Israel caused the displacement of approximately 850,000 Palestinians, of which approximately 200,000 had to relocate to Gaza. The dispossession of hundreds of thousands of Palestinians and the expropriation of their homes and lands, upon which much of the State of Israel was built, do not seem to constitute a significant element to be included in the “Contextual Background” by the OTP. The first problem here is the prosecutor’s decision to begin by stating, “In response to increasing rocket attacks”. While this is the official Israeli position, it cannot be considered a fair or a neutral account. It is ignoring the fact that violence erupting from Gaza might be caused by decades of Israeli breaches of international law and colonial policies. In light of this, it seems questionable that the OTP would prefer to portray Israel’s official discourse rather than describing the events from an International Law perspective, which would be deemed as a more objective way for the International Criminal Court to explain the ‘Contextual Background’ to the war in Gaza. To use Israel’s interpretation of the events the OTP risks casting the law as an instrument that protects colonial authority at the expense of the right of civilian non-combatants, according to the PRC.